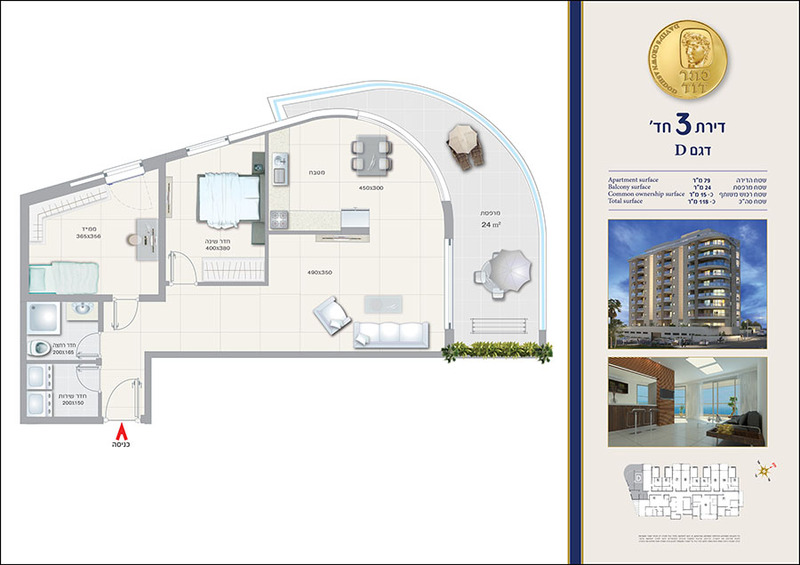 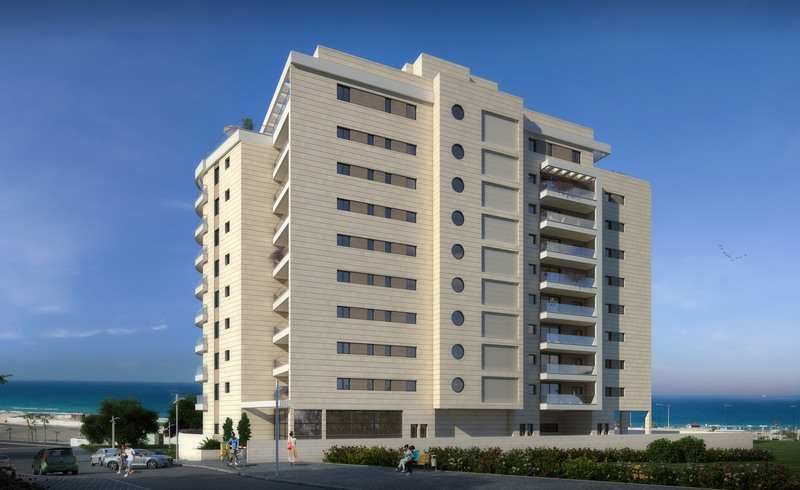 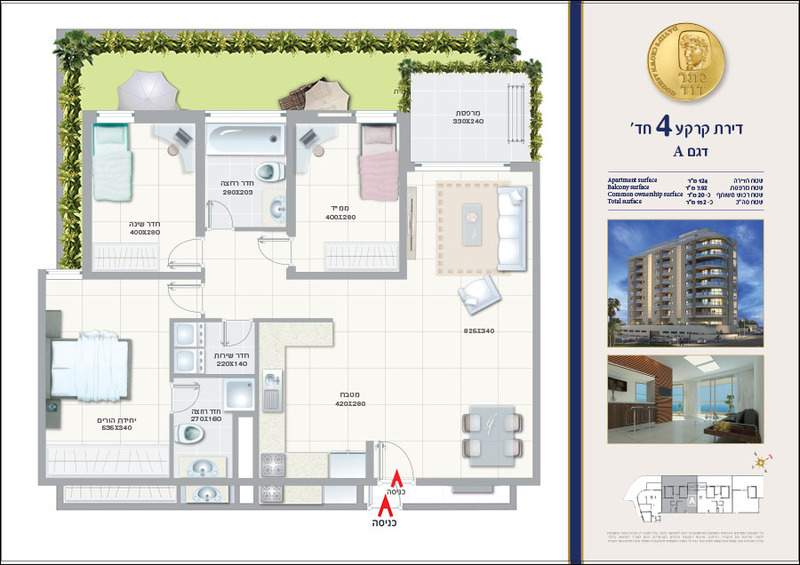 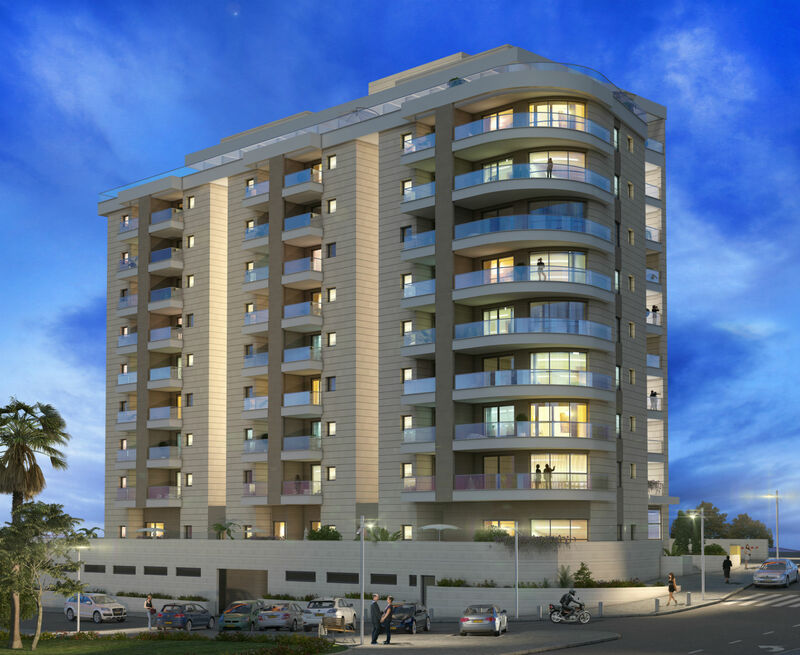 In quarter Aleph, close to the Ashdod shopping-mall and just a few steps from the beach, the residential project “Keter David”is being built. 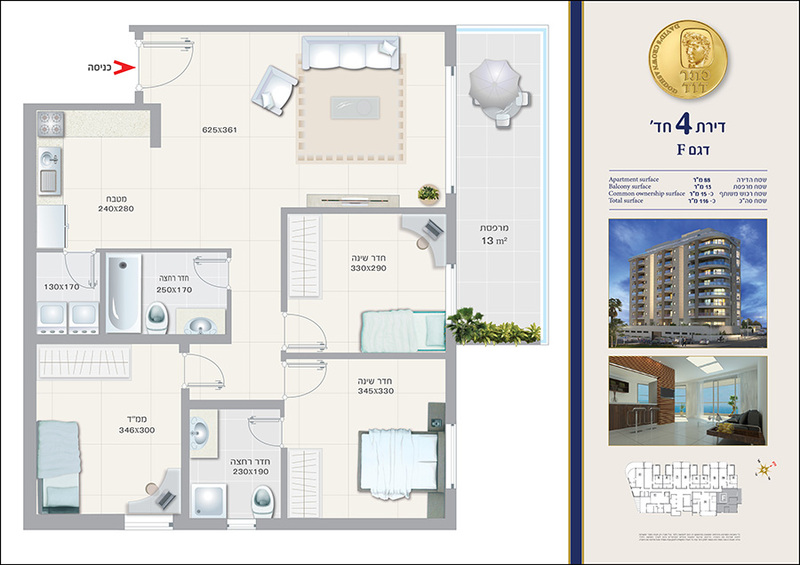 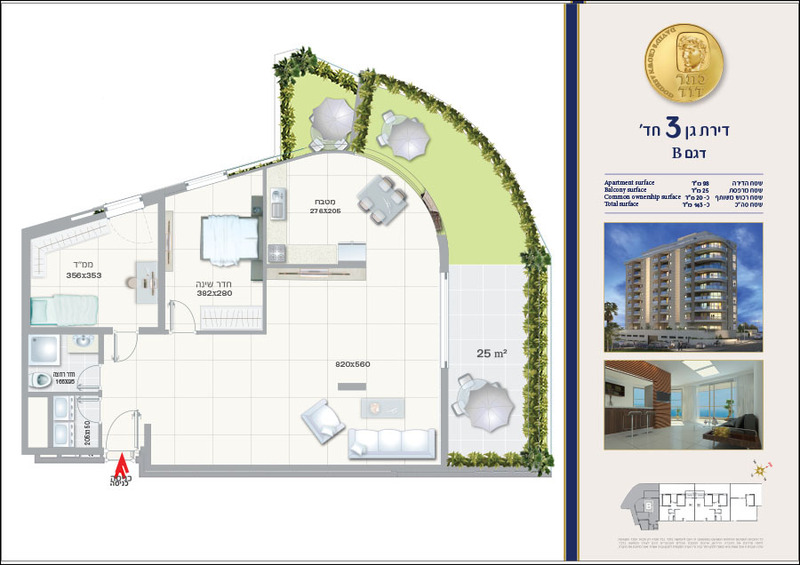 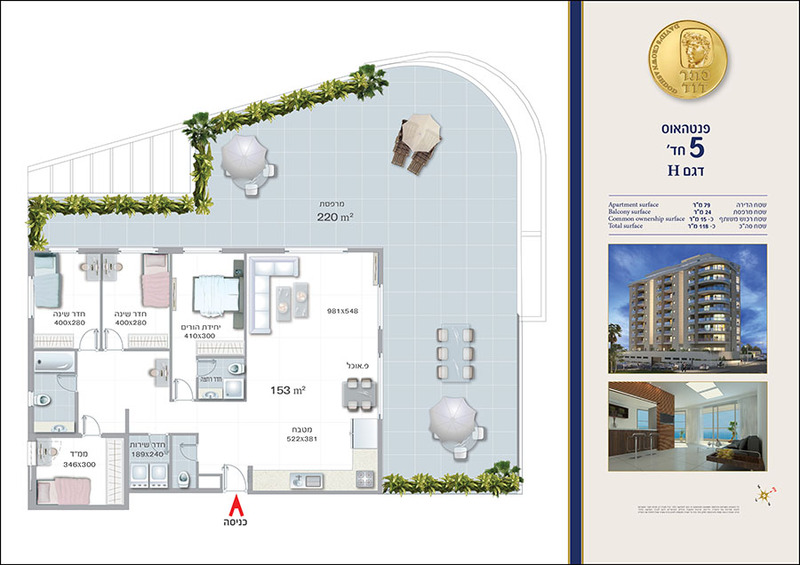 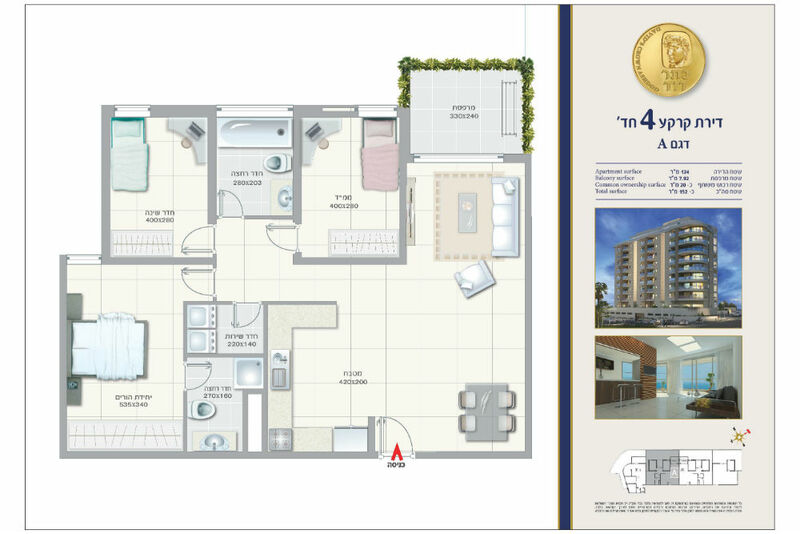 3 and 4-room apartments – sun-balcony, luxurious penthouses and sea view. 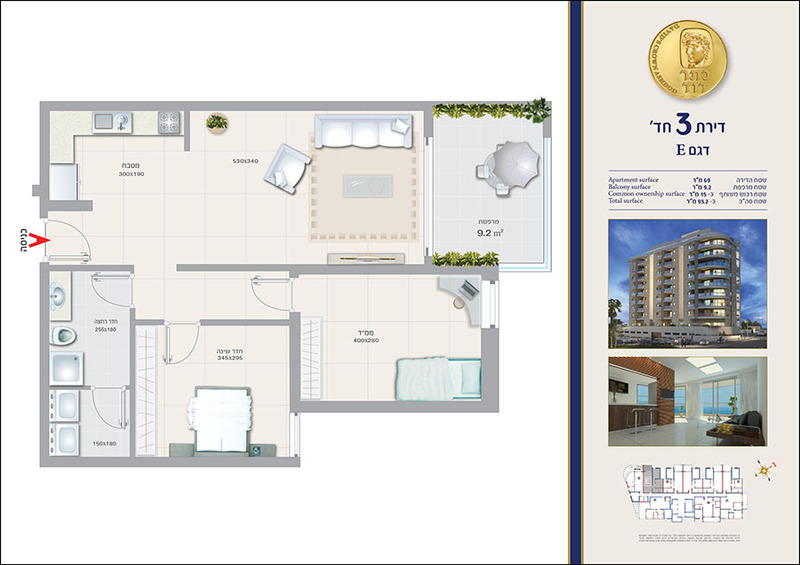 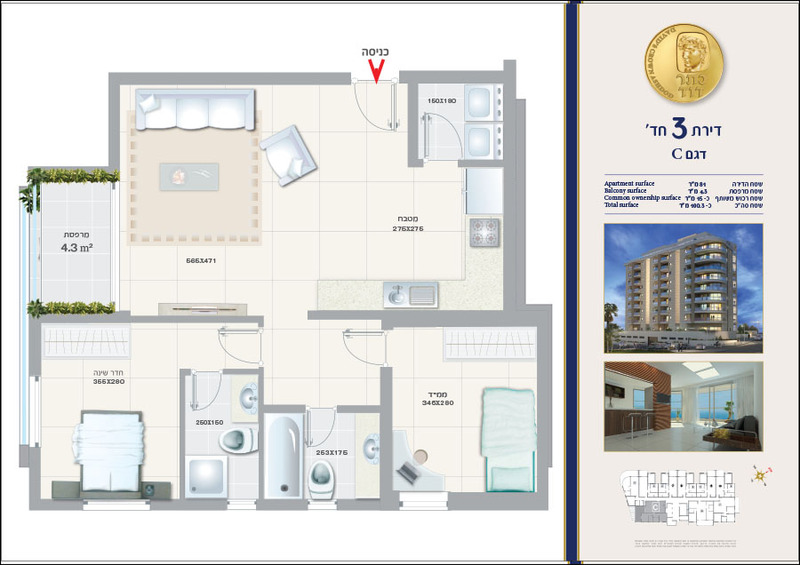 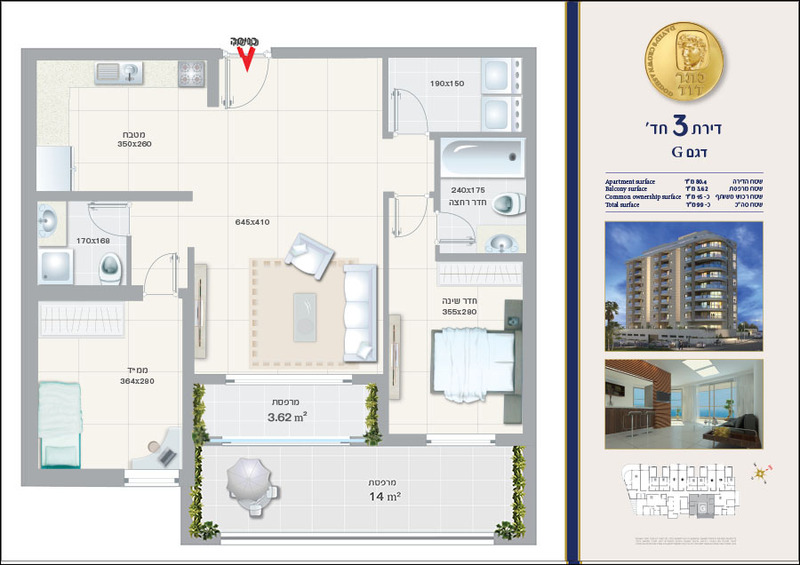 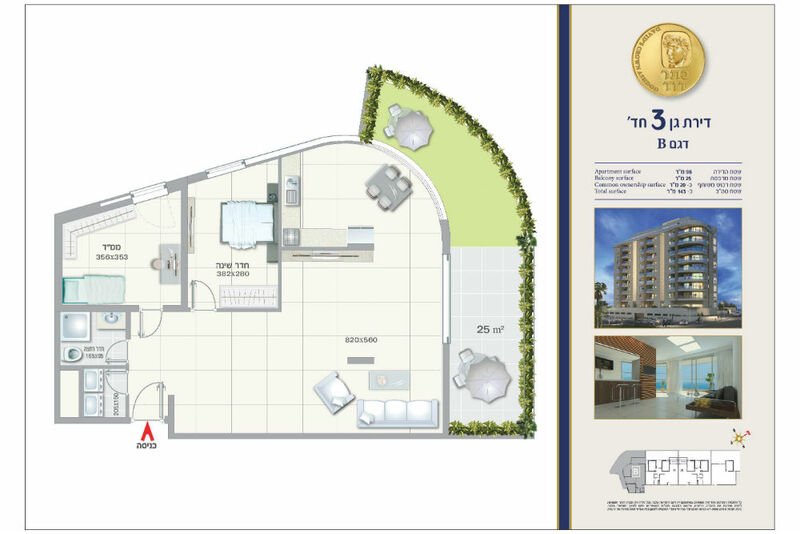 Main Sales Office – Rehov Nordau 22 Ashdod (opposite Ashdod shopping mall).